Egypt and Art > Tour Map of Egypt > Tour Philae Directory. > Inside Philae. Most of the carvings in this temple date to the Greeco-Roman Period. They tell the stories of the goddess Isis her husband Osiris, and their son Horus. They also show the King interacting with the gods. 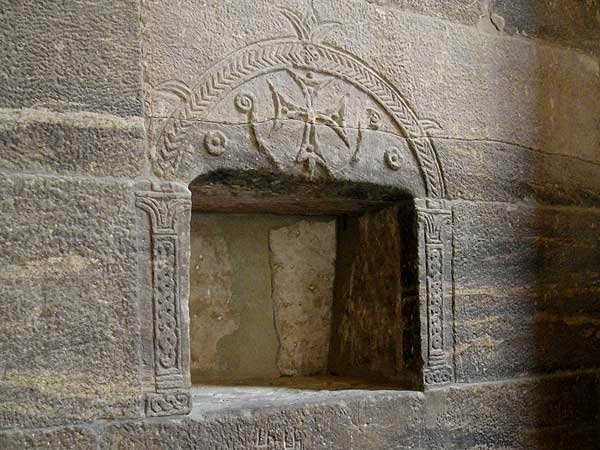 An early Christian alter. 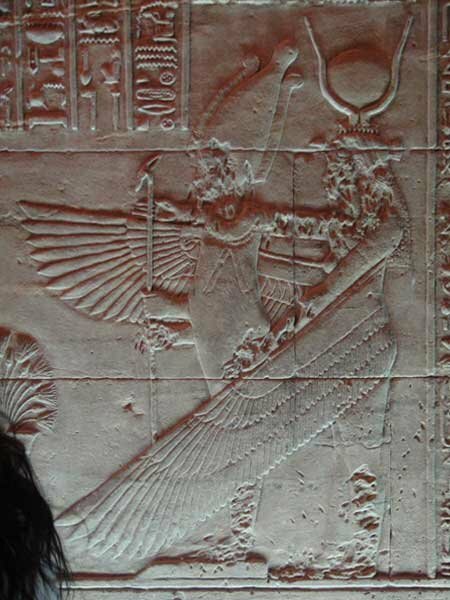 Isis wraps her wings in a protective gesture around Osiris, her mummified husband. The International Rescue of Philae.